It's a fair assumption that most of us are quick to put elk, among all the marvelous species at our fingertips, at the pinnacle of North America's big-game hunting experience. Some long to face the iconic beast on rugged public land where success is defined by the challenge and measured in pounds of venison. Others seek a high-odds hunt on a private ranch that's likely to end with a big bull for the wall. To kill any elk under any fair chase terms is a major accomplishment. The first step is getting on wapiti's turf — and that's half the battle. You've made the commitment to pursue elk. Now it's time to determine where and how to get it done. Public land or private? DIY or outfitted? On a budget or spend your life savings? To save you some time and energy, I got on the horn with Eric Pawlak at Cabela's. In addition to tapping into Eric's expertise, I did some extra digging to put you on the right track for planning your next elk hunt. 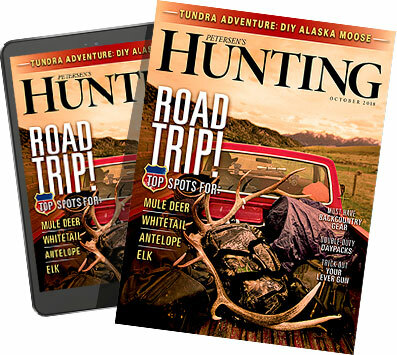 This guide is meant to help nonresident hunters discover elk hunting possibilities in eight of the top elk states in the country. While much of this information remains consistent year to year, keep in mind that licensing processes are always in flux, so it's your responsibility to follow the proper licensing procedures when you're ready to rock and roll. Every state manages the distribution of elk hunting permits differently. It's critical to understand these systems if you want to get a tag, and unfortunately, it's not always easy. Here's a simplified general breakdown of the various permit systems you might encounter as a nonresident. Some states offer what's often referred to as a "general elk season" (sometimes labeled differently). These permits can be purchased over the counter. In some cases, an application must be submitted, but the applicant is typically guaranteed an elk tag to hunt in specified general areas of the state. A preference point system indicates that you must apply for a random drawing to hunt in a particular unit. Every time an applicant is unsuccessful in drawing a permit, he or she is awarded a preference point. Each year when the drawing is conducted, applicants with the most banked preference points are drawn first. Example: If you have four preference points and your buddy has only three, you have one preference over your buddy and are guaranteed to draw a tag before him or her. All states have certain areas where hunting is allowed by special permit only. Hunters must apply for a permit for these limited-entry areas. Typically, applicants are put into a lottery drawing, some of which are influenced by point systems. States that use a modified preference point system allocate a certain percentage of tags through a preference point system. The remaining tags are distributed through a completely random drawing, giving first-time applicants, or applicants without maximum points, a chance to score a tag. A bonus point system indicates that nonresidents must apply for a random drawing to hunt in a particular unit. Every time an applicant is unsuccessful in drawing a permit, he or she is awarded a bonus point. Applicants' bonus points don't guarantee they'll be drawn before others who have fewer points (each year it's a random drawing), but the odds of drawing are higher with more points. Example: If you have six bonus points and your buddy has only three, you're twice as likely to draw a tag (you have six tickets in the hat, your buddy has three). But it's possible your buddy could be drawn first because it's literally "luck of the draw." The squared bonus point system is similar to the regular bonus point system, except the state squares an applicant's total bonus points, giving someone with more points an even greater chance of drawing a tag. Example: An applicant with 10 points will go "into the hat" 101 times (10 squared = 100 + the current year's application). An applicant with five points will go into the hat 26 times (five squared = 25 + the current year's application). Hunters who apply for limited-entry elk permits might face "point creep." In general, there will always be more applicants than available hunting permits for limited-entry hunting units. Point creep occurs as the number of preference or bonus points required to draw a limited-entry permit increases, due to the fact that the highest point-holders continue to bank points and raise the bar. In this situation, hope the unit for which you're applying doles out only a certain percentage of its permits to point-holders, with the remainder allocated through a random draw (as is done in Arizona). Cabela's is known as the "world's foremost outfitter" of hunting gear, but the company has expanded significantly since its inception in 1961. Included under today's Cabela's umbrella are two services that are dedicated to helping hunters plan their next trip: Cabela's Outdoor Adventures and Cabela's T.A.G.S..
Cabela's Outdoor Adventures is a hunt-booking agency. Its full-time staff is devoted to finding top-quality hunts for a variety of species — including elk. Every outfitter listed with Cabela's Outdoor Adventures has been thoroughly researched by the OA team, so you don't have to worry about ending up with a subpar experience and a waste of time or money. When you book your hunt through OA, they work directly with the outfitter and put together an organized itinerary to make your life easier and your hunt more enjoyable. The best part is you don't pay a premium (not a single extra dime) for booking your hunt through Cabela's Outdoor Adventures; the outfitter's advertised rate is the exact same rate used by OA. Translation: When you book your next hunt, you only have something to gain by working with Cabela's Outdoor Adventures. Cabela's T.A.G.S. (trophy application and guide service) might save you from a migraine. You pay T.A.G.S. a small fee ranging from $30 to $200 per application, depending on the complexity and float fee of the application (free if under age 18). The T.A.G.S. crew — actual human beings — helps you decide what you want to accomplish in your hunting future, and then they help you get it done. As you've learned in this article, managing applications, points, and fees can be a nightmare if you're trying to apply for hunts in multiple states. T.A.G.S. handles all of that for you. Perhaps the most attractive part of the service is it will float all tag fees whenever necessary, meaning you don't have to personally float thousands of dollars each year. If you do draw a tag, your T.A.G.S. rep will recommend an endorsed outfitter for your hunt of a lifetime, but that's totally optional. It should be noted that some states require you to "float" the cost of an elk hunting permit every time you apply for it. If you draw your permit, you're awarded with a tag. If you don't draw, you can get a refund or, depending on the state's permit system, build your points. This will be noted in the following state-by-state info. Arizona is known for producing trophy-class bull elk, but competition is fierce for drawing tags in the most coveted hunting units. Drawing a rifle tag for the state's early October rifle hunt takes approximately 20 years. Pawlak recommends Arizona's late-November rifle hunts. "Hunters can typically draw a bull elk tag in very good units in an average of five to seven years. I think it's the greatest value in elk hunting right now. You can go DIY or hire an outfitter for $5,000 for a five-day hunt. You'll be hunting bulls in the 320-plus [B&C score] category. Usually the hunt takes place immediately following Thanksgiving day." Special Details: It's a bonus point system, but 20 percent of tags are allocated first to applicants with the most bonus points (the maximum was 26 points going into the 2015 draw). The remaining 80 percent of tags are then allocated through a random drawing using the bonus point system. Colorado has the highest elk population in the country. It's a state where hunters can purchase over-the-counter elk tags to hunt in general areas. You can travel to Colorado and find ample public land to search for elk, but with the easy access comes increased hunting pressure. Be prepared to show up early, stay late, and get off the grid to see — and kill — elk. Giant bulls are typically tough to find in general hunting areas, but not impossible. If you're handy with archery equipment or a primitive smokepole (no pellets, sabots, sealed ignition, or optics allowed), you can sometimes improve your odds of drawing a limited-entry permit. Special Details: If you draw a tag and wish to return it before the earliest season begins, you can retain your banked points if you're willing to forfeit the $561 elk tag, or you can request a refund and lose all your banked points. Wolves are a sour subject among elk hunters and rightfully so. Elk herds in many regions have drastically declined due to wolf depredation. Idaho is an example of a state that has been impacted by the canine conundrum. That said, hunters have been fighting back by taking full advantage of the state's wolf hunt during the past several years, so keep an eye out for an upswing in Idaho elk numbers. In the meantime, Pawlak offered this insight: "Some of the best general-season hunting can be done in the northern panhandle. Limited-entry hunting is typically best in the southwestern corner of state. But overall, Idaho is more of an opportunity state than a trophy state. There are lots of over-the-counter general areas to go hunt elk, but don't set your hopes too high for killing a trophy-class bull." Special Details: If you apply for a moose, sheep, or goat permit, you can't apply for elk, deer, or pronghorn permits. Idaho does not have a point system, putting every applicant, every year on equal footing. Like Colorado, Montana is another "opportunity" state where nonresident hunters can easily obtain a tag to chase elk. My first elk was killed with a general-area big-game combo tag with a rifle on public land in southwestern Montana, so I'm living proof that it can be done! The state's Block Management Units (BMUs) and National Forests provide millions of acres of hunt-worthy public land across the state. However, Montana elk are often concentrated in gnarly wilderness areas that are difficult to reach on foot, so consider getting horses to access the backcountry. Special Details: You must apply for a general season permit, even if you apply for a permit-area (limited-entry) tag. There are two options for a general season permit: big-game combo license ($996; covers elk, deer, upland game birds, and fishing) or elk combo license ($846; covers elk, upland game birds, and fishing). If you apply for a permit-area tag and you're unsuccessful, you can use your general season permit to hunt in any general area of the state. If you missed the draw, left over general season tags can usually be bought over the counter. Nevada pumps out big bulls year after year, but gaining access to the state is a lofty goal for nonresident hunters. "The only reasonable way that a nonresident can expect to elk hunt in Nevada is through drawing a limited-entry permit," Pawlak noted. "There are some special auction tags and landowner tags, but they're few and far between and expensive. If you are fortunate to draw a tag and kill an elk, there's a 10-year waiting period to reapply. Nevada offers very few elk tags to nonresidents, but drawing one is often the ticket to the hunt of a lifetime. One thing's for sure: You can't draw if you don't apply!" New Mexico doesn't have a point system, so acquiring an elk tag is truly luck of the draw. Sixteen percent of tags are allocated to nonresident applicants. "The western part of the state is the best," Pawlak explained. "The Cibola and Zuni National Forests are great for public-land hunters." I was blessed to tag a New Mexico bull on a pristine private ranch in the Zuni Mountains, but the allure of Cibola public ground lay just across the road, and it got my wheels turning for planning a future DIY hunt. "The Gila National Forest offers excellent opportunities for public-land archery, rifle, and muzzleloader hunts," Pawlak said. "Units 15 and 17 are primitive-weapon-only units — no centerfire rifles. The November muzzleloader hunts in these units can be real sleepers. You might have to get a bit deeper [into the bush] on this late-season tag, but drawing odds are typically much better than on the early tags." If your central goal is to kill a gagger bull, pay attention to Utah. "The state's limited-entry elk hunting is some of the hottest trophy elk hunting in the country right now," Pawlak said. "Some of the best units include San Juan, Pavant, Boulder, and Beaver. Tags are difficult to come by for residents and nonresidents alike, but if you can get your hands on one of these tags, it will be the elk hunt of a lifetime." If you hunt with multiple tools and want to spread out your elk hunting across the entire fall, Wyoming should be at the top of your list. "Typically, a nonresident can draw a general elk tag for Wyoming in one to two years," Pawlak said. "A Type 1 Wyoming elk tag will allow you to hunt September 1 — 30 with a bow. If you're unsuccessful, you can go back with a rifle and typically hunt from mid October to mid November." Also be on the lookout for surplus tags; I'm heading to southeastern Wyoming this fall for a surplus cow elk hunt with a rifle in early October! Special Details: A "special permit" or "regular permit" gives you the same level of hunting access. Forty percent of the tags are allocated to the special permit pool, whereas 60 percent of the tags go into the regular permit pool. Typically, you improve your odds of drawing by paying more for the special permit (most folks aren't willing to spend the extra money for better odds, so there's less competition even though less tags go into the special pool). However, you need to check the demand index because the special permit doesn't always guarantee better odds.